Sonja Haraldsen, a young Norwegian seamstress who works in her family's clothing store, has never dreamed of being famous for anything besides fashion design. Yet one summer evening in 1959, she meets Crown Prince Harald at a party. She's shocked when he wants to see her again, but they quickly fall in love, and Harald proposes marriage less than a year later. Yet King Olav, who expects his son to marry royal, is firmly opposed to the idea of a common-born seamstress as the next Crown Princess. As His Majesty's approval is legally necessary for the marriage of the heir, Harald and Sonja are left waiting and hoping for the King to change his mind. Soon, the secret relationship finds its way into the papers, and the Crown Prince's romance with a shopkeeper's daughter becomes the scandal of the century. Journalists, politicians, and ordinary Norwegians declare that a common marriage would destroy the monarchy, and a furious King repeatedly insists that the relationship must end. 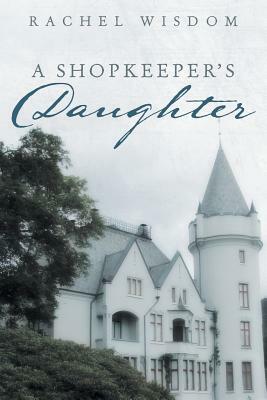 Set against the romantic backdrop of royal Europe, A Shopkeeper's Daughter is based on a true story of a love worth fighting for.